Venezuela crisis: Why are thousands of people fleeing every day? 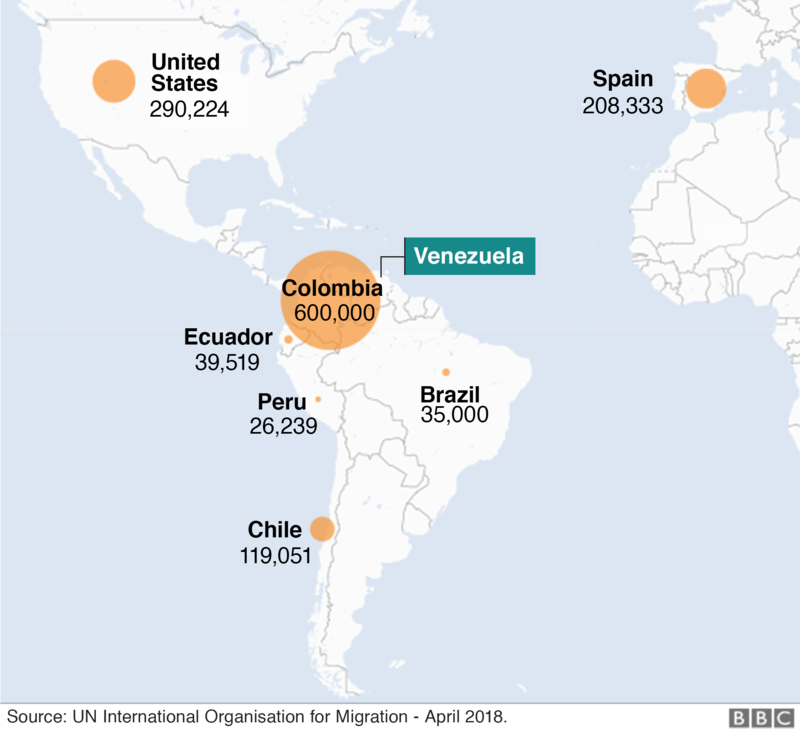 Thousands of people are leaving the country of Venezuela in South America every day. More than two million people have fled since 2014 - that's 7% of Venezuela's population. Political problems, poor living conditions and food shortages are forcing people out. Read Newsround's guide to find out what is happening there. Venezuela's economy is in serious trouble. Oil is the main product that it sells to the rest of the world, but when oil prices fell the nation began to struggle. Many people feel they can no longer live in Venezuela and believe the country's money is near-worthless. A whole chicken in the UK costs around £4.50. 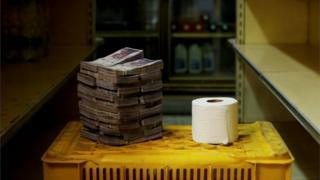 But in Venezuela's capital Caracas you would need to pay 14,600,000 bolivars - that's about £46. The economic crisis has led to shortages of food, medicine and basic goods. Critics say the government, led by President Nicolás Maduro, has handled the situation poorly. Over a million have entered the neighbouring country of Colombia, and thousands are making their way on to Ecuador and then Peru. More than 500,000 people have entered Ecuador so far this year, according to United Nations Refugee Agency figures. In Peru, applications for asylum have nearly tripled from last year. Asylum means looking for protection or safety, especially that given by a government to people who have been forced to leave their own countries. Venezuelans have also crossed into Brazil where some migrant camps have been attacked, with locals angry about the number of people arriving. Under increasing pressure, neighbouring countries are now introducing stricter border controls in response. The UN's migration agency says Venezuela is heading for the same refugee "crisis moment" seen in Europe in 2015. 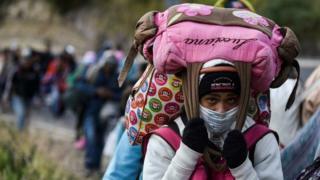 But Venezuelans are continuing to leave their country in huge numbers. We don't realise how lucky we are just to have the simple things in life. millions for a bar of soap?